This Budtanicals’ Pain Balm is a blend of Okanagan beeswax, menthol crystals, and sweet orange and cinnamon essential oils. This blend is THC free. APPLICATION: Apply directly to affected area. Cover the area completely and massage. Wait one hour before reapplying. Can be used an unlimited number of times per day. Keep container closed and in a cool place. For external use only. Do not apply to wounds or damaged skin. Avoid contact with eyes and mucous membranes. Keep out of the reach of the children. If irritation occurs discontinue use. INGREDIENTS: Okanagan beeswax, menthol crystals, sweet orange and cinnamon essential oils, and 300 mg of CBD. 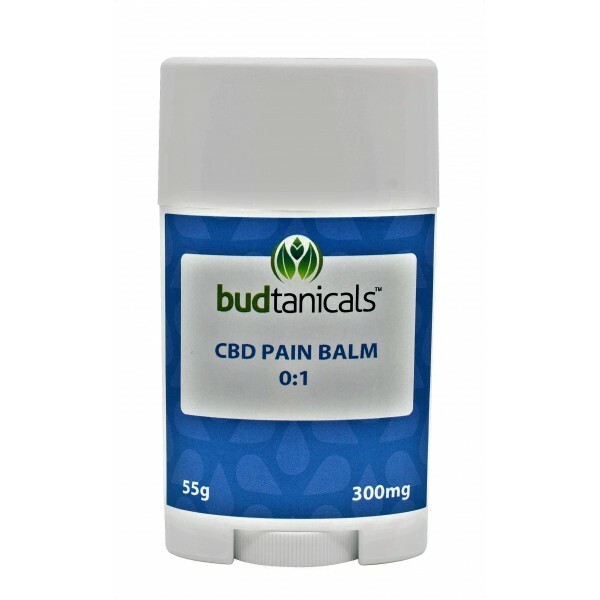 This Budtanicals’ Pain Balm is a blend of Okanagan beeswax, menthol crystals, and sweet orange and cinnamon essential oils. This blend is THC free. 300mg CBD per 55 gram stick APPLICATION: Apply directly to affected area. Cover the area completely and massage. Wait one hour before reapplying. Can be used an unlimited number of times per day. Keep container closed and in a cool place. For external use only. Do not apply to wounds or damaged skin. Avoid contact with eyes and mucous membranes. Keep out of the reach of the children. 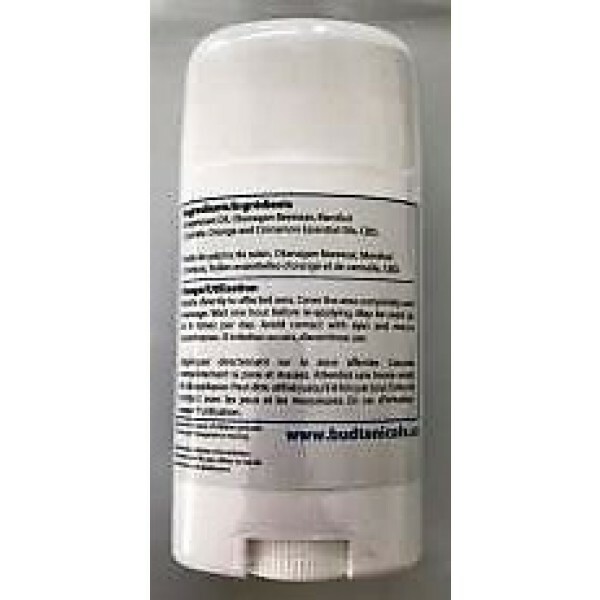 If irritation occurs discontinue use. INGREDIENTS: Okanagan beeswax, menthol crystals, sweet orange and cinnamon essential oils, and 300 mg of CBD.